The Naganuma School is widely considered as the pioneer of modern Japanese language training in Japan. Although officially established as a school in 1948, its birth occurred almost two decades earlier as its founder, Naoe Naganuma, had begun publishing Japanese language texts books and performed as instructor for the US Embassy diplomats in the years prior to WWII. 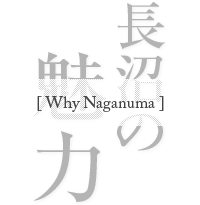 As such, Naganuma is regarded as one of the world’s longest continual providers of Japanese language training. In addition to sustaining the publication of its highly regarded Naganuma text books today, the School continues to employ the groundbreaking teaching techniques which came to be known as the Naganuma Method. Throughout its history, the School has always persisted in going beyond just language education, aiming for the self-realization of each of our students with the development of a confidence to communicate effectively through mastery of the language. The result over the School’s decades of teaching has been the creation more than 30,000 talented graduates, many of whom have gone on to become prominent leaders in diplomacy, international business, and higher education. In fulfilling its mission, the School continues to help shape gifted people who will bridge Japan and the world in all areas of expertise.